Cherise Britt is the Program Manager of the Alexander Hamilton Society. Previously, Mrs. Britt was an analyst at the National Consortium for the Study of Terrorism and Responses to Terrorism. She has worked projects involving Boko Haram, terrorism in West Africa, and tracking weapon exchanges in South and East Asia. Mrs. Britt was also a participant in the Hertog Institute’s War Studies Program and Advanced Programs on Lessons from the Cold War and Civil-Military Relations. She holds a B.A. in Government and International Politics from George Mason University. 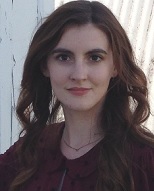 Erielle Davidson is a research assistant to Dr. Edward Lazear at the Hoover Institution. Ms. Davidson focuses on both international and domestic economics and the application of economic policy. Previously, she was an associate analyst at Fitch Ratings in the RMBS division and head of recruitment for the Middlebury Chapter of the American Enterprise Institute. Ms. Davidson also contributes articles to TownHall and The Federalist. She holds a B.A. in Russian from Middlebury College, where she focused on Russian and Soviet politics. 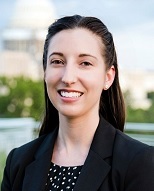 Cara Dublin is the grants and donor communications manager at the Texas Public Policy Foundation, where she works to promote and defend liberty, personal responsibility, and free enterprise in Texas and the nation. 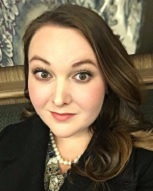 While completing her undergraduate study, Ms. Dublin served as a writing intern for The Key Reporter, the Phi Beta Kappa academic honor society's publication for news and alumni relations, and wrote for The Collegian, an independent weekly student newspaper of the University of Tulsa. She holds a B.A. in history from the University of Tulsa, and an M.A. in English from the University of Leicester as a Fulbright Postgraduate Scholar. Brenda Hafera is the coordinator of alumni programs and continuing education at The Fund for American Studies. Ms. Hafera previously was the assistant director for the Matthew J. Ryan Center at Villanova University and a summer fellow at the Jack Miller Center. She has been published in The Philadelphia Inquirer and by Constituting America. Ms. Hafera holds a B.A. and M.A. in political science and a B.S. in finance from Villanova University. 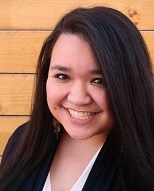 Amalia Halikias is an associate at Keybridge Communications, where she writes and edits newspaper-length editorials. Ms. Halikias is also the membership director of the RightNOW Women PAC. Prior to those positions, she was the press assistant for the Jeb Bush 2016 Campaign. 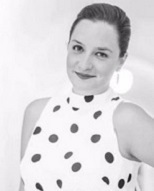 As an undergraduate, Ms. Halikias was a member of the Yale Political Union and the communications director of the Yale College Republicans. She holds a B.A. in political science from Yale University. 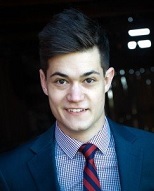 Nathan Howe is a law student at Georgetown University Law Center. 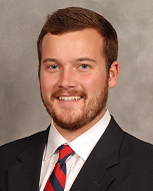 Mr. Howe has previously interned at The Heritage Foundation’s Meese Center for Legal and Judicial Studies. Prior to entering law school, he worked as the Illinois state director for Millennials for Cruz where he was responsible for overseeing young adult outreach in the state of Illinois. He holds a B.A. in philosophy from the University of Chicago. 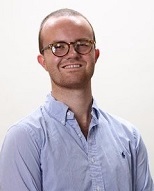 Joshua Holdenried is a fellow at The Public Interest Fellowship where his positions included political analyst at Opportunity Alliance Services Inc. and policy analyst at The Foreign Policy Initiative. 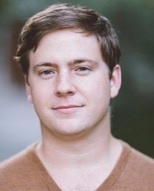 Previously, Mr. Holdenreid was on the Rapid Response Team on Foreign Policy for the Marco Rubio Presidential Campaign, and a research assistant for KT McFarland. He holds a B.A. in public policy leadership from the University of Mississippi. 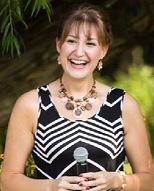 Marjorie Jeffrey is a Ph.D. candidate in political science at Baylor University. Previously, Ms. Jeffrey was a summer associate writer for the Institute on Religion and Democracy, specializing on issues relating to American Catholicism and immigration reform. She was also a regional field coordinator for the Leadership Institute (LI) where she taught for the LI’s flagship training program and for their student activism training conferences. Ms. Jeffrey holds a B.A. in government from Wofford College and an M.A. in political science from Baylor University. Thomas Pack is a student at St. John’s College where he is pursuing a liberal arts degree and is a contributor for Historia and The Epoch. Previously, Mr. Pack was a tutor in Hebrew and creative writing, and a 2016 Hertog Foundation fellow. He was also a teaching assistant for the Washington Hebrew Congregation, working individually with challenged students and assisting the primary teacher. 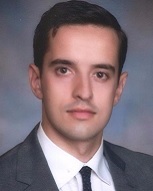 John Pedro is a recent graduate of Cornell University, where he wrote for the conservative student newspaper, was a leader in ROTC, and started the American Enterprise Institute’s Executive Council for Cornell. He previously interned at the Hudson Institute’s Center for Political-Military Analysis, with Ed Gillespie’s gubernatorial campaign, and traveled on a grant to the Middle East in support of democracy. A Distinguished Graduate of Air Force Field Training and a recently commissioned Second Lieutenant, Mr. Pedro will start active duty as an Intelligence Officer in 2018. Titus Techera is a contributor to The Federalist and Ricochet.com, writing articles on politics, culture, and society. Mr. Techera is also the executive director at the American Cinema Foundation, a nonpartisan arts organization which rewards television and film projects that address positive social values and promote democratic inclusion. Previously, he studied liberal arts at Bard College Berlin. 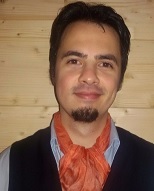 Mr. Techera holds two degrees from the University of Bucharest: a B.A. in political science and an M.A. in comparative politics in Central and Eastern Europe. 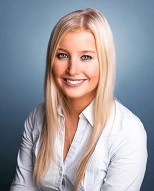 Samantha Schroeder is the deputy director of digital production at the Federalist Society, where she serves as lead producer and line producer on a variety of video projects, from shorter policy videos to longer narrative films. Ms. Schroeder previously worked as director of external affairs at the Foreign Policy Initiative. She is also a contributing writer for various publications, including Acculturated, The Federalist, and Public Discourse. She holds a B.A. in philosophy from the University of Central Florida. Phil Wegmann is a commentary writer for the Washington Examiner where his articles focus on Congress and the regulatory state. Mr. Wegmann’s opinion reporting has been featured in the Drudge Report, Politico, and RealClearPolitics. Previously, he provided daily coverage of Capitol Hill as a congressional correspondent for The Daily Signal. He also worked as a staff writer for The Federalist. Additionally, in 2016, Mr. Wegmann was selected as a writing fellow by America’s Future Foundation. He holds a B.A. in history and political philosophy from Hillsdale College. 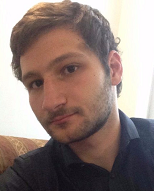 Charles Zug is a Ph.D. student in government at the University of Texas at Austin. Mr. Zug has previously worked as a research assistant for The Heritage Foundation’s Kenneth B. Simon Center where he assisted with publications. He has authored several articles, his most recent awaiting publication titled, "Rethinking the First Wave: Leo Strauss’ Spinoza-Hobbes Discourse." In addition, Mr. Zug has worked as a teaching assistant since 2015 for classes ranging from “Foundations of Modern Politics” to “American Government.” He is a 2015 Hertog Foundation fellow, and a 2016 Clement Center fellow. Mr. Zug holds a B.A. from St. John’s College (Annapolis).